When the restoration of the City Hall organ was completed, the Wurlitzer was dismantled and the parts were stored in the attic. Unfortunately unqualified people were employed to do the work. 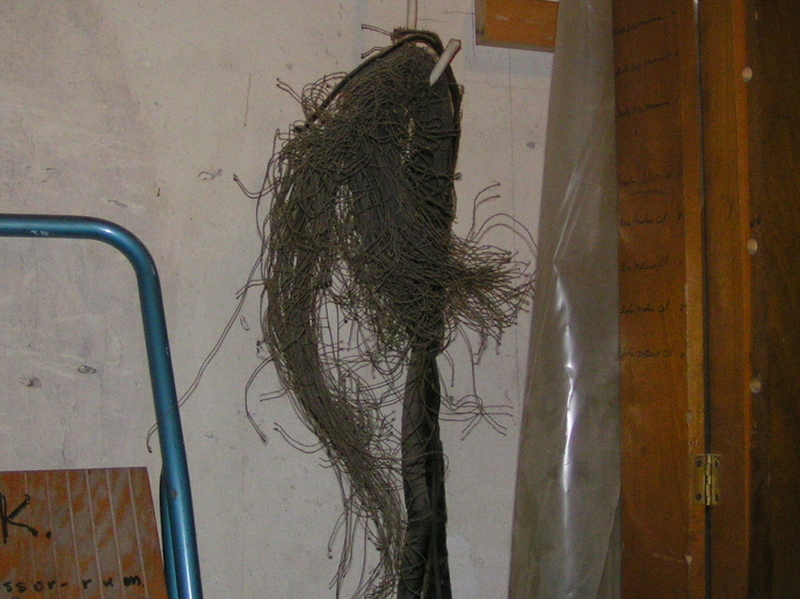 It seems that only two tools were used, an ax to cut the cables and a crowbar to disassemble the organ. Luckily unused parts like percussion had also been stored in attic despite these instruments were never used during the City Hall period. Fast forward from about 1970 to 2005. It was now time to renovate the City Hall organ again. Now the City Hall authorities demanded that all junk in the attic be cleared. Through a strike of luck a number of enthusiasts got wind of what was going to happen, all the junk, Wurlitzer parts, were heading for the scrap pile. We (the enthusiasts) decided to have look and see what was left after 35 years of storage. All the pipes, except one, were found. However lots of them were in a miserable condition, specifically the metal ones. The blower couldn’t be found. The 7 note Diapason chest was also missing. One reservoir (of three in total) was missing. After some research the reservoir was found installed in the City Hall Organ. We eventually got that one back. Most of the mounting lumber missing. The leather was unusable, the Wurlitzer contained 100% Zephyr skin. Complete releathering had to be done. No console, but we had an idea were to look. The relay was in a miserable condition, cables chopped and mysterious features had been added. After the inventory we came to the conclusion that it was possible to restore it but some issues needed a satisfactory solution to formally start the restoration. Can we get hold of a blower? Where to find a 7 note chest? The console had ended up in Music Museum but we needed to assess the condition. In a later meeting we decided for a "go ahead"